Yesterday as I was standing in line at the post office, I noticed this poster on the wall. 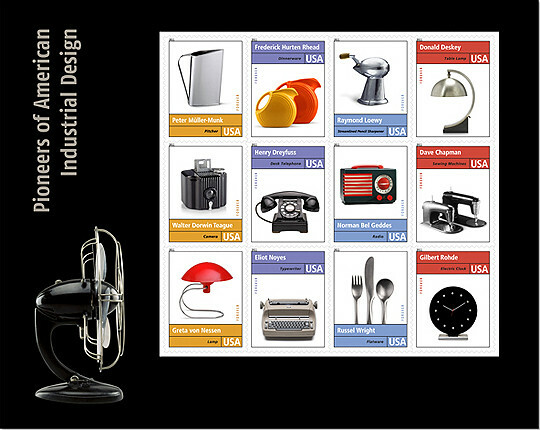 The USPS has a new book of Forever Stamps out that features the work of American Industrial Design pioneers. This warms the cockles of my early-20th-century-design-loving heart. I'm especially loving the Raymond Loewy 1933 bullet-shaped pencil sharpener stamp. Now if only Bethlehem could get the proper industrial history museum to go with their loveliness...?